Warehouse management is the weak point in most companies. Whether small or large and whatever the sector you operate in, companies have to face the same problems when it comes to managing their warehouse and related stocks, picking, goods availability and all other logistics activities. What is the worst mistake you can make? 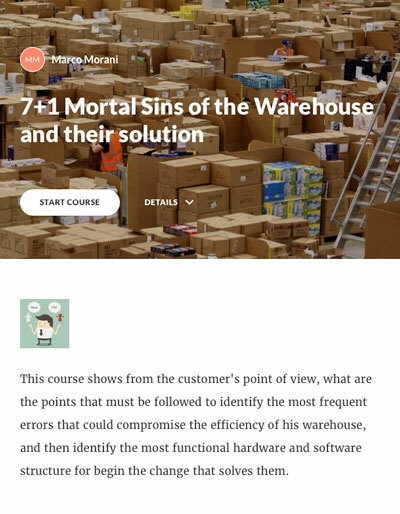 Considering the warehouse as a problem and not as a resource! At the end of the course you will also find a little quiz which will put you to the test! An effective warehouse is organised in such a way that each operator can quickly find the desired item and proceed to prepare an order quickly and without errors, thereby increasing customer satisfaction and optimising order preparation and delivery times. Your warehouse too can be like this!